Know What REALLY Irks Me? Yes, there are a few things in life that irk me. Like fitted bed sheets that only fit until you’ve washed them twice. Or drivers committed to the far-left lane who have cruise control set at 2 mph BELOW the speed limit. You know, important stuff. 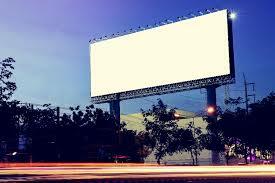 But one thing that REALLY irks me is Billboards that I can’t read. Sometimes the board itself is positioned so that you only see it for a second or two. Or the words are so small that they are UN-readable, or the image is so distracting, that your brain can’t let go of it long enough to read the words that might explain it. And yes, I realize that billboards are sometimes meant to be viewed several times before the entire impression, suggestion, or call to action is made. But that’s not it. To be honest, the reason they bother me significantly is because they represent marketing that will never get results. Someone spent good marketing money trusting that their billboard company and their marketing firm were working together to bring them a good return on their investment. As business owners, are we aware of the results that our marketing efforts (and money) can be expected to achieve? How will you know if your Marketing is getting good results? It’s not enough to know the number of clicks, or impressions, or time spent on a page. How does this translate into a cost per customer for a given tactic? How can you decrease this cost? What action steps can be taken (on a regular basis) to lower your customer cost? In marketing, as in most things in life, information is important – even essential. But to move forward toward your goals, you need to know what to do with the information at your fingertips. Begin a conversation that directs your marketing endeavors toward a significant return on your investment. Not sure where to begin? Hit reply and let’s start a conversation that moves you forward. Chaos Containment? What the heck is that?